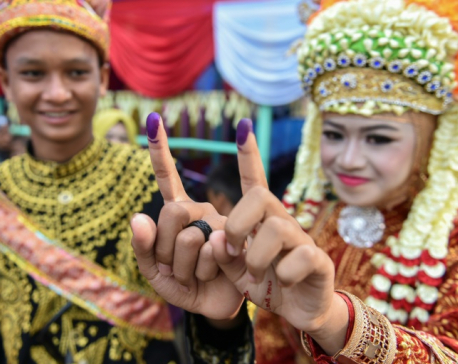 JAKARTA, April 17: Across 17,000 islands, from the jungles of Borneo to the slums of Jakarta, millions of Indonesians were going to the polls Wednesday in one of the world's biggest exercises in democracy. 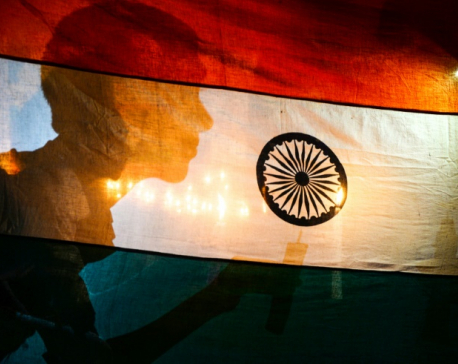 NEW DELHI, April 11: Clashes between followers of rival parties left at least two dead and several injured on the first day of India's huge election Thursday, media reports said. PARIS – French President Emmanuel Macron recently launched his platform for the upcoming European Parliament elections. Official reactions to his approach—outlined in a commentary published simultaneously in every European Union country—were mostly positive, with even the Euroskeptic prime minister of Hungary, Viktor Orbán and Liviu Dragnea of Romania, endorsing his agenda (for tactical reasons). But, in the chorus of approval, one notable voice was missing: Germany. 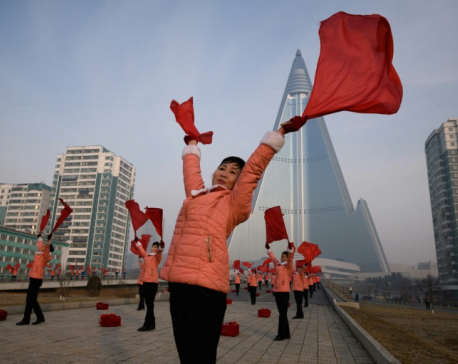 PYONGYANG, March 10: North Koreans go to the polls Sunday for an election in which there can be only one winner. NEW DELHI, March 8: A deluge of online hoaxes that hit Indian social media as the country fought aerial battles with neighbouring Pakistan has heightened fears over the "fake news" war looming in India's national election. 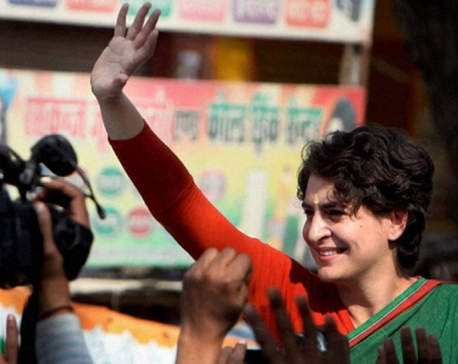 NEW DELHI, Jan 2: Three powerful women politicians, each from a very different section of Indian society, may pose a big threat to the chances of Prime Minister Narendra Modi winning a second term in a general election due by May. 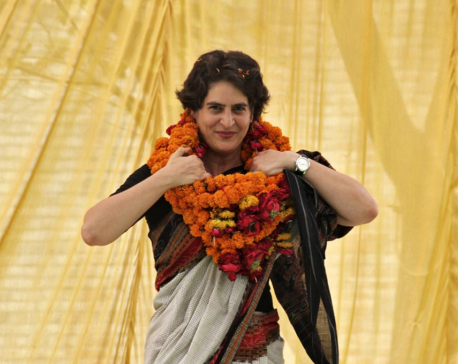 LUCKNOW, Jan 23: Priyanka Gandhi Vadra, considered for long the trump card of the Congress, was pitched into politics today from politically vital Uttar Pradesh, a state that's considered the gateway to Delhi. KATHMANDU, Dec 20: The State Affairs Committee (SAC) of the parliament has directed the government to hold by-elections in various vacant local and provincial assembly seats by mid-May 2019. 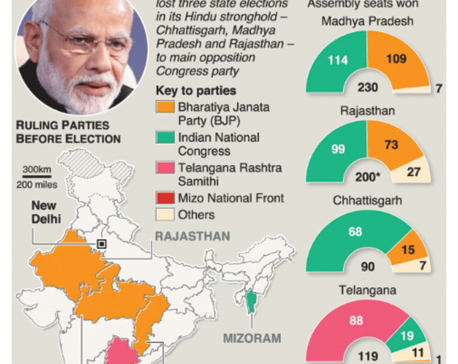 India’s ruling party has suffered a setback in elections to five state assemblies, handing Prime Minister Narendra Modi his biggest loss since taking office in 2014, and just months before national elections. 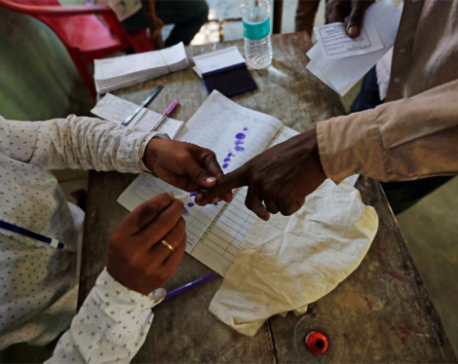 According to results announced by India’s Election Commission, the opposition Congress party was a clear winner in Chhattisgarh state and fell one seat short of a majority in both Rajasthan and Madhya Pradesh. With a regional party offering support, the Congress party is set to rule all three states, replacing Modi’s Bharatiya Janata Party. 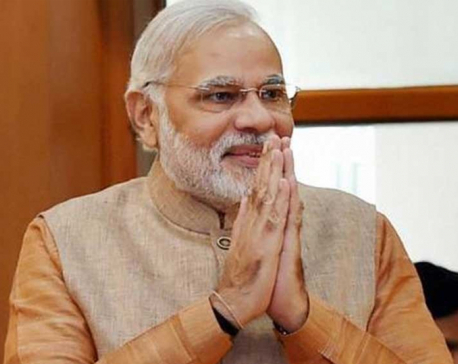 NEW DELHI, Dec 11: India’s ruling Bharatiya Janata Party was trailing on Tuesday in three big heartland states, two TV networks said, as counting began from local elections seen as a final trial of strength for Prime Minister Narendra Modi before general elections next year. 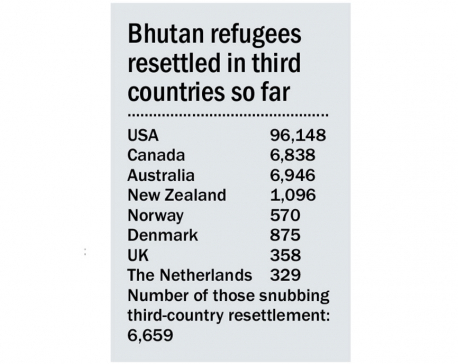 KATHMANDU, Nov 5: As the new government led by Lotay Tshering of Druk Nyamrup Tshogpa (DNT) party gets a full shape in Bhutan after the third democratic elections last month, Nepal looks forward to holding fresh talks with the Druk government to resolve the nearly three-decade-long Bhutanese refugee problem once and for all. KABUL, Afghanistan, Oct 19 : Afghanistan is holding parliamentary elections on Saturday despite deep security concerns and ongoing fighting in as many as 20 out of the country’s 34 provinces. KATHMANDU, Sept 21: Election for chairmen of two joint committees of House of Representatives and National Assembly has been scheduled for coming Sunday. KATHMANDU, Aug 18: One of the major reasons behind postponements of elections to pick the heads of parliamentary committees is found to be foreign junkets by lawmakers from the ruling Nepal Communist Party (NCP) and the main opposition Nepali Congress (NC). KATHMANDU, Aug 16: The National Assembly (NA), the upper house in the federal parliament, rescheduled the date for the elections of its four thematic committees at 11:00 am on August 29. RUPANDEHI, Aug 4: One year after the election of local representatives, most of the local units in rural areas are still operating without full manpower. Though political parties and candidates during the election campaigns pledged to bring the facilities of 'Singha Durbar' to the villages, that has been nothing more than a myth so far. PAKISTAN, July 30: Amidst allegations of rigging in the recently concluded general elections in Pakistan, an Election Commission of Pakistan (ECP) spokesperson has asserted that the same were conducted fairly. 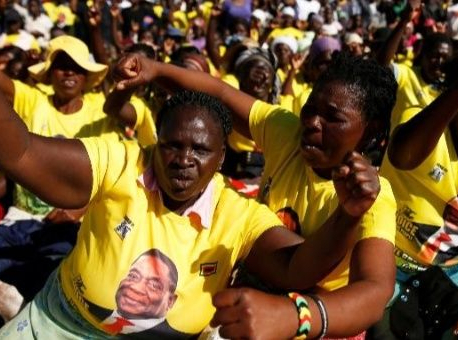 HARARE, July 29: Emmerson Mnangagwa and Nelson Chamisa will face off in Zimbabwe's presidential election on July 30. 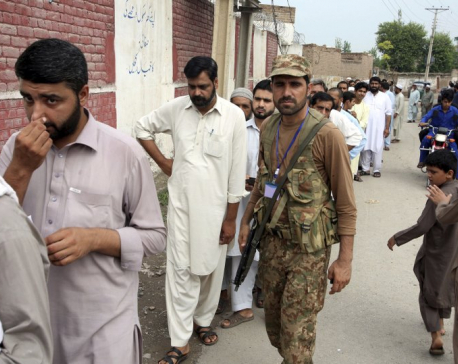 ISLAMABAD, July 25: A suicide bomber on a motorcycle rammed into people waiting outside a busy polling station in the Pakistani city of Quetta on Wednesday, killing at least 31 and casting a dark shadow on what was to be a historic day for the country as Pakistanis cast ballots to elect their thirds consecutive civilian government. 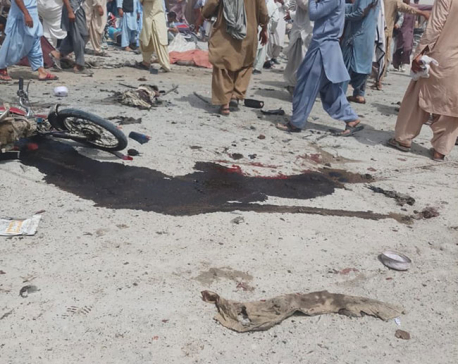 QUETTA, July 25: An earlier report said at least one person had been killed and three injured during an altercation among PTI supporters, in which gunfire was exchanged. DAMAULI, July 13: Chief Election Commissioner (CEC) Dr Ayodhee Prasad Yadav said that the Election Commission should be the final authority to announce election date. 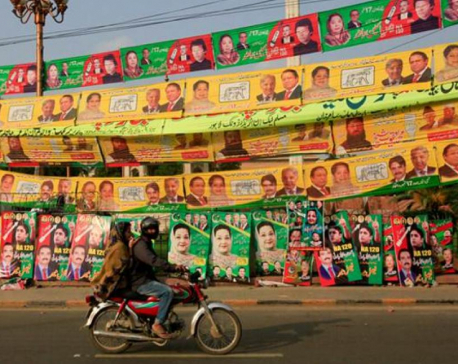 PAKISTAN, July 11: An apparent suicide bombing has targeted a politician ahead of Pakistan's elections. The party hit by the blast has been targeted for its opposition to the Taliban. 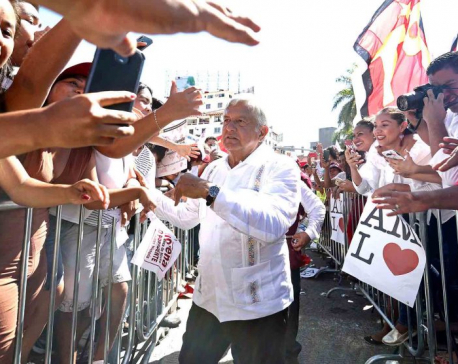 Mexicans vote Sunday in a potentially transformative election that could put in power a firebrand vowing to end politics and business as usual in a country weary of spiraling violence, unchecked corruption and scandal-plagued politicians. KATHMANDU, June 10: A survey conducted by Transparency International Nepal has shown slight improvement in public service delivery at the local levels in the aftermath of the local elections held last year. 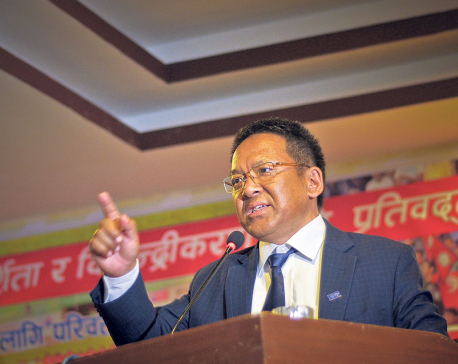 KATHMANDU, May 5: One of the two presidential candidates Karma Chirring Sherpa is likely to get elected as president of the All Nepal Football Association (ANFA) as his rival candidate Mani Kunwar withdrew from the election process on Friday. KATHMANDU, May 4: As the Kathmandu District Court in its order on Thursday ruled out any need of interim order on the writ petition filed seeking deferral of the elections scheduled for May 5, the All Nepal Football Association (ANFA) election is taking place on the stipulated date. KATHMANDU, May 3: Birat Jung Shahi, a vice-presidential candidate for the upcoming All Nepal Football Association (ANFA) elections, and some other officials have filed a writ petition at the Kathmandu District Court seeking to halt the elections, which is scheduled for Saturday, May 5. KATHMANDU, April 26: With the High Court Patan withdrawing on Wednesday its interim order to stay the elections of All Nepal Football Association (ANFA), the path to hold the elections has been cleared. 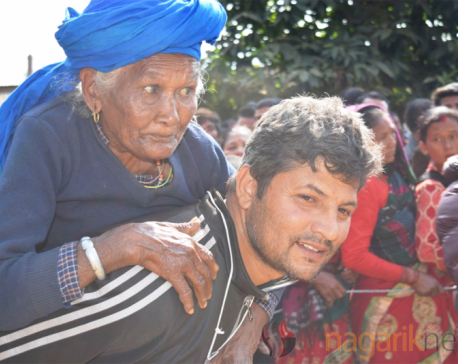 PANCHTHAR, April 13: During the local polls, political parties had included social security allowance for the elderly people as one of their top election agendas. Senior citizens of Phidim Municipality were expecting to receive their allowances without any hassles after the local elections but that has been a far-fetched dream so far. PANCHTHAR, April 12: During the local polls, political parties had included social security allowance for the elderly people as one of their top election agendas. 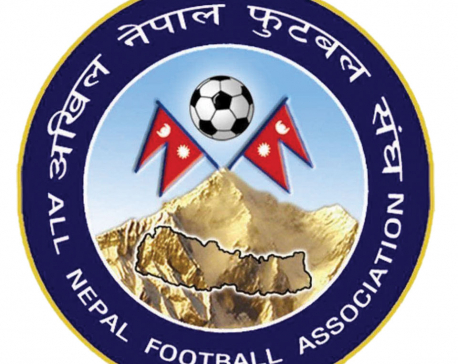 KATHMANDU, March 27: A representative from Asian Football Confederation (AFC) has arrived in Kathmandu on Monday to take stock of the situation leading to deferral of the elections of All Nepal Football Association (ANFA), which was scheduled for Wednesday. 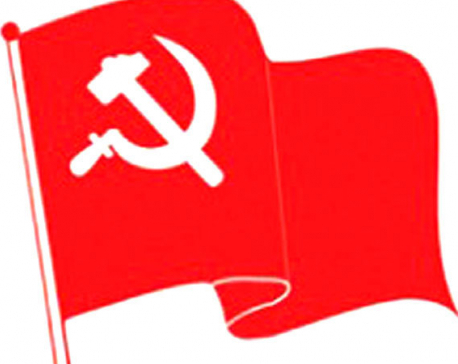 KATHMANDU, March 26: CPN-UML has taken serious exception to the report submitted by EU-EOM on observations of the elections of the House of Representatives and Provincial Assemblies of Nepal. 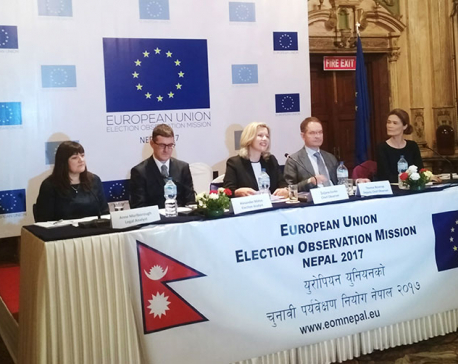 KATHMANDU, March 21: An international observation group has accused Nepal's Election Commission (EC) of not maintaining transparency while conducting three sets of crucial elections last year. 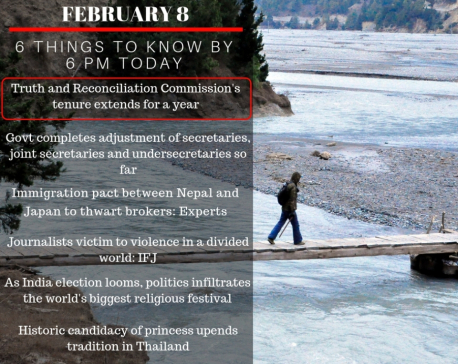 MARCH 18: Elections for Vice President and National Assembly’s vice chairperson is scheduled for today. 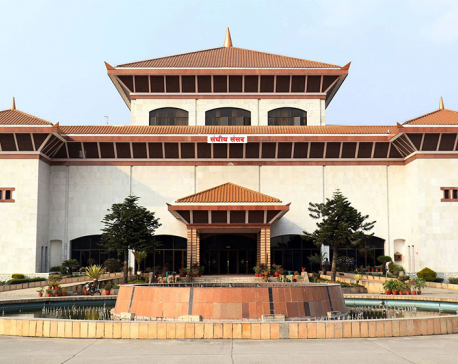 KATHMANDU, Feb 28: The parliament secretariat has been asked to plan the election of speaker and deputy speaker of the House of Representatives and chairman and vice chairman of the National Assembly prior to the presidential election on March 13. KATHMANDU, Feb 15: The Election Commission has proposed to hold the election of President and Vice-President within this month. KATHMANDU, Feb 6: Following tomorrow’s National Assembly elections, a source at the Election Commission said that they were gearing up to publish the results of Proportional Representations of House of Representatives. BIRATNAGAR, Jan 29: Six candidates have been elected unopposed members of the National Assembly from the Province No. 1. Now, elections would be held only for two seats out of total eight. KATHMANDU, Jan 24: Registration of nomination papers of candidates contesting the National Assembly election have started from 10 am today. The filing of nomination will close at 4 pm. The election to the member of National Assembly is taking place on February 7. KATHMANDU, Jan 13: Twenty-one political parties have applied at the Election Commission to contest the upcoming upper house elections. The election body had provided parties 15 days to register and the deadline expired Friday. KHOTANG, Jan 12: A month after the successful completion of the parliamentary and provincial elections, the promotional tools and materials used in the election campaigns are yet to be removed from public places in Khotang. KHOTANG, Jan 11: A month after the successful completion of the parliamentary and provincial elections, the promotional tools and materials used in the election campaigns are yet to be removed from public places in Khotang. KHOTANG, Jan 10: A month after the successful completion of the parliamentary and provincial elections, the promotional tools and materials used in the election campaigns are yet to be removed from public places in Khotang. 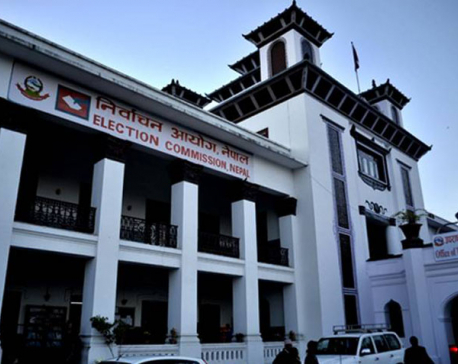 KATMANDU, Jan 8: The Election Commission (EC) on Friday made public preliminary expenditure incurred while conducting parliamentary and provincial assembly elections. KATHMANDU, Jan 1: Chief Election Commissioner Ayodhee Prasad Yadav on Sunday said that the parliamentary seats under the proportional representation (PR) system will be allocated only after the election of the National Assembly. The EC has already completed the verification of the PR votes but has not yet publicized the official poll results and the parliamentary PR seats won by the parties. KATHMANDU, Dec 29: Cement producers have increased the price of cement by at least Rs 100 per sack (50 kg), citing a rise in demand for cement after the parliamentary and provincial elections. KATHMANDU, Dec 23: The Supreme Court (SC) has directed the concerned sides to furnish written response within seven days in the petition registered claiming foul play in vote counting of the recently held polls. KATHMANDU, Dec 22: Issuing a press statement, the Carter Center has hailed Nepal's election that was in accordance with International Standard.